A Muslim man has made the headlines in Penang, Malaysia over his protest against Freemasons there on religious grounds. He is a member of Umno Youth, an outgrowth of the United Malays National Organization, the largest political party in that country. This likely made the news services light up because of jitters over the foiled plan to attack a U.S. Masonic center in Milwaukee in January. 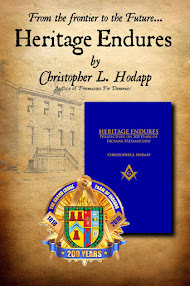 But it's worth noting that Masons everywhere need to be diligent for their own well being. Freemasons in Malaysia are chartered under the District Grand Lodge of the Middle East under the Grand Lodge of Scotland. Also in Malaysia is the District Grand Lodge of the Eastern Archipelago under the United Grand Lodge of England. Ahead of an international Freemason conference in Penang at the end of this month, an Umno Youth executive council member has called on Islamic groups and parties to rally against it. In a statement on his blog yesterday, Armand Azha Abu Hanifah also demanded the Penang government to explain why the International Scottish Masonic Conference was allowed to hold its meeting in the state. “Many who contacted me agreed to reveal this meeting and although I was advised to not meddle as their movement is considered strong and major, I hold to Islamic teachings. Guided by Quran’s 30 verses, I felt it should be stopped and cancelled,” Armand said in his blog. “I would like to urge and openly protest against this meet. I want Penang Chief Minister Lim Guan Eng together with Pakatan Harapan leadership to explain why this Freemason/Illuminati meet was allowed,” he added. 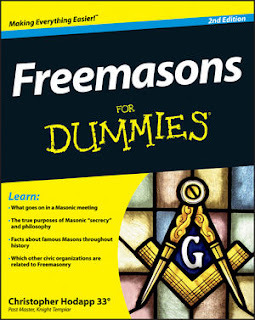 Freemasonry is a collection of diverse worldwide fraternities that started out as local groups for stonemasons, steeped in rituals and symbolisms. It is usually linked to the Illuminati, a conspiracy theory where secret group of masterminds allegedly control world affairs and try to establish a New World Order, although there is no evidence suggesting such a group exists. Some Muslims oppose Freemasonry, among others claiming that it is linked to Jews, Zionists, worship of Satan, and even linking it to Dajjal, the purported anti-Christ in Islamic tradition.